Learn how to make music videos on small budgets but with the big budget look. This comprehensive filmmaking tutorial covers everything from concept development, pre-production, storyboarding and equipment choices to the actual filming, editing and special FX. There are over five hours of exclusive content! It is a great tool for any filmmakers or musicians who want to make music videos by themselves. Format: HD 720p MP4 video files on a 8GB USB drive and/or digital version (streaming and downloading). Total Running Time: 5 hours and 16 min. 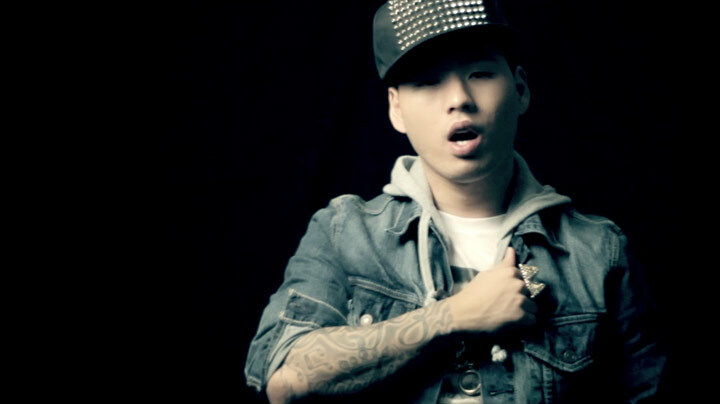 The host Tom Antos is an accomplished film and music video director with over twelve years of experience and several awards to his name. His YouTube filmmaking tutorials have a large international following. In this series of tutorials, you will see step-by-step how he created three music videos that were broadcast internationally. I should have bought your music video films school right away instead of wasting money hiring others to do my videos. Now I produce my own music and video! I am really impressed with your hands on approach and you are very talented. I’m new to this but i am really passionate about whatever i get myself into. You have shot and put together a great set of informative DVDs on how to be a filmmaker i am sooooo happy with the material. 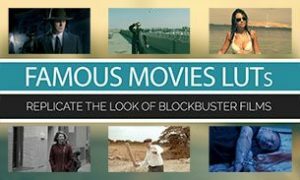 Overall awesome videos, well worth the money, but if you don’t mind answering 1 question. You don’t use any field monitor on those videos, but you use a lot of lights that sometimes shine directly into camera. How do you know if you have the right exposure for the shot? The LCD screen is so tiny. Do you use just histograms or there is something else? Thanks! Looking forward to buy more videos from you! Well I am finished watching your teachings and I am really inspired by your work Tom and knowledge and my investment in this tutorial is well spent. I am looking forward to start my new music video for my client and now I am on the right track. I see that your using Adobe Premiere witch is awesome, I am using Sony vegans Pro 12 I managed to find a few of the setting you are using and render settings also . I also have after effects and most of the adobe programs except Premiere. I am working on this new video and in your teachings you answered the question about shooting in 60 Fps because I want to slow down the story to stretch out the time line a little bit. I will be honest here, there is a lot to take in the tutorial but I know I can always go back to it get what I need to move on to the next step. I thought your course was awesome. Great job. 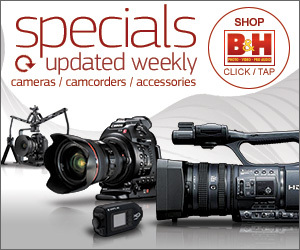 You may want to include a pdf with all the gear you use with affiliate links to Amazon or B & H photo. Not sure exactly what model of lights you used or what color temperature. The pdf of gear would be helpful, type of gels used, filters etc. White balance, kelvin for each lighting scenario etc. Great course just minor add ons like the PDF. If you have instructions for the color presets that would be cool. Your Music video tutorials were great! Your videos were exactly what I’ve been looking for! You really did a great job! Thanks for sharing your knowledge ! I finished the music video tutorials and they were great! I really learned a lot, especially about how much I still have to learn. I really don’t know anything about After Effects or Maya or any of those special editors. Seeing you play with these tools made me feel like I’m stuck using a hammer and chisel when I could be using a scalpel. 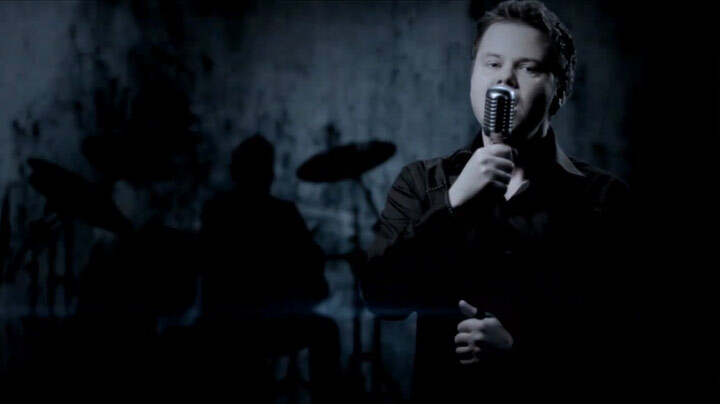 Just finished the first run through of the Music Video School… I can only say wow! Fantastic course brilliantly done with the 3 different clips analysis method. Tom, I want to thank you for the program it is worth every penny!! I learn a lot I’m going to use everything I learn from this program and look forward for other learning material you will produce in the future as I have enjoyed learning from this style of teaching!! If I can recommend if you can produce how to use advance futures on Premier and After effects and Maya and so on… I’ll be your first customer for these products as well. Thanks a lot for the great material you put together. Congratulations on the final result! It is an amazing step by step tutorial. Anyone should be able to apply those tips to their productions. So far both of your DVD’s gave me more info than I’ve learned at my Media Arts program while attending Jersey University. I just finished watching your music video lessons. For now, I skipped the special effects section of My Nirvana so I don’t overload myself with too much information. I will watch it in detail next week. Overall, every video was excellent. Very practical and straight to the point. I started knowing exactly nothing about photography or videography. Now I already got some pretty good test footage, and I know exactly what I need to do at every step from start to finish to get the video that I want. My favorite sections were your explanations of lighting, color correction, and editing in premiere. Your video editing style is similar to my audio editing style. I like getting the source material in order first, and then dressing it up after, while keeping all folders and files organized. It was very helpful to see how I can achieve this in a program I have never used before I even begin! I am going to do a test shoot with all lights at the location next weekend. If it comes out looking awesome, I can brag how I learned to do it just from watching videos online haha. The videos are excellent and very beneficial and something I will need to refer to more than once or twice. Especially the editing. About tutorials, I should say they were really helpful for me as a new beginner. I learned lots of things about camera, especially editing and other things. About editing, what you have done is really professional. I do some editing in Final cut pro but basic stuffs. but after i saw your DVD i released for editing i have to learn more things, because I like to learn a little bit about everything except directing. Thanks Tom! Your video’s where very helpful and well organized. I enjoyed every minute your Music Video Film School. 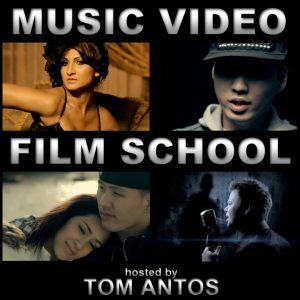 Tom Antos’ Music Video Film School is hands down the BEST music video tutorial out there!!! He shows EVERYTHING from start to finish (including conceptualizing, props, equipment, composing/framing, camera settings, camera movement, much more, but most importantly … the editing process). I got Adobe Premiere CS6 and I literally was like a deer in headlights! The controls and overall scheme looked extremely complicated. But I watched Tom’s videos, followed along (duplicating Tom’s steps as he done them on the video), and QUICKLY began to understand the fundamentals. Within a couple hours I was loading my footage, syncing my video with the music track, and editing/cutting my music video. Afterwards, Tom even thoroughly explain the steps of exporting the video and what formats are best. This was money WELL spent and I give my highest recommendation!!! Again, I have NEVER used Adobe Premiere before now and this is my FIRST music video (that I done myself). I finally watched all the videos and i am really happy about them. The reason why i purchased it, is that i wanted to learn something about the pre-production, planning, etc. For instance, i didn’t know which shots to take or how to film the performances. I just want to say thank you for your Tutorials. They are good to learn. However, I would like to know if you’re going to ever make a full tutorial of editing a Music Video? If so, can you please inform me if you ever do.. I just received your video and must say your put together a good teaching product from the music to the dinner date video. I am a new with the Camera. i started work with Canon T5I i did most of my learning on youtube then i come across Tom on one of his youtube Videos. I was so good on small details and he speaks slow where by you it was so easy to understand. He was so knowledgeable and very Skilled. I would Recommend his Teaching to Beginners. I can attribute 50% of my enthusiasm and skill and love for film-making to to Tom making the pursuit in all it’s aspects far more approachable. Of course i’ve taken loads more courses sense Tom’s introduction from service other than Tom (e.g Herzog and Zorkin Masterclasses) but they are still only valuable because of the grounding and explanations offered by Tom first. Thanks Tom! P.S. you probably won’t remember, but i had an issue with one of your files downloading correctly because of issues on my side and you helped me out immediately by dropboxing it to me! I’ll never forget the personal service! Thanks! Very good product, well worth the money. Really helped understand the simplistic methods that can be used to achieve a professional look. Great. I purchased the Music video School video a while back and will soon be ready to make my first music video. Tom put together a well organized package that will be enough to get anyone started for sure. I looked around for a similar package and i couldn’t find it! 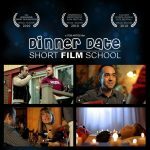 I also got the Short film School and I know i will make a short, personal film soon. Thanks Tom. You and your team deserve the support of aspiring filmmakers from all walks of life! 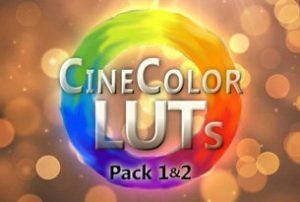 I’ve learnt so much from your tutorials, and the LUTS packs are incredible value, I really appreciate your hard work and the experience you bring to the table for us indie videographers. I have learned more from Mr. Antos material than when i enrolled at Columbia College (Chicago campus) for two and a half semesters on the same subject. Just outstanding material. Great work 😮 I am always pleased with Mr. Antos’s venue, because i know i will get the vital information i need to help me with my projects after reading and viewing his material. No joke, you will walk away with more understanding, more confidence, and more appreciation for your own creativity after reading and viewing Mr. Antos’s stuff. Thank you very much Mr. Antos. 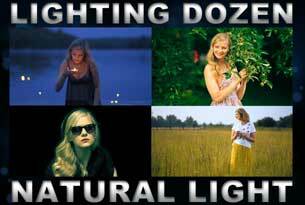 This video helped me SOOOO MUCH in obtaining a professional look in my music video. He teaches in a way that 99.9% of tacher simply can’t. He’s a great cinematographer and a great teacher too. I have learned a lot from watching Tom Antos’ tutorials over the years! It continues to helped me achieve a more Cinematic look everyday. He doesn’t tell people what to do, instead you learn how to do it and you can apply it to what will work for you. These courses are a more detailed explanation of what he goes over in his YouTube videos. The bonus material was a great tool to refer back to. The way the videos are downloaded, to say the lease, it was a little tricky and time consuming. The only other thing was the regret of waiting as long as I did to get them! Great job on the videos and keep up the great work!